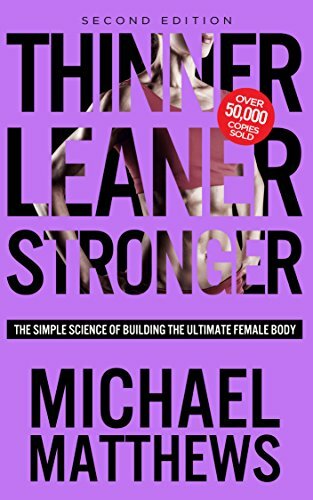 If you want to be toned, lean, and strong as quickly as possible without crash dieting, “good genetics,” or wasting ridiculous amounts of time in the gym and money on pills and powders...regardless of your age... then you want to read this book. Here's the deal: Getting into awesome shape isn't nearly as complicated as the fitness industry wants you to believe. You don’t need to starve yourself with very-low-calorie diets to lose fat and keep it off. You don’t need to spend hundreds of dollars per month on the worthless supplements and fat loss pills. You don’t need to constantly change up your exercise routines to “confuse” your muscles.? You don’t need to grind out hours and hours of boring cardio every week to shed ugly belly fat and love handles and get the body you desire. You don’t need to completely abstain from “cheat” foods while bringing your body fat percentage down to ideal levels. Those are just a few of the harmful lies and myths that keep women from ever achieving the lean, toned, strong, and healthy bodies they truly desire.